Forklift Wholesaler – Fully Serviced With 12 Months Warranty offered on all Toyota Forklifts. 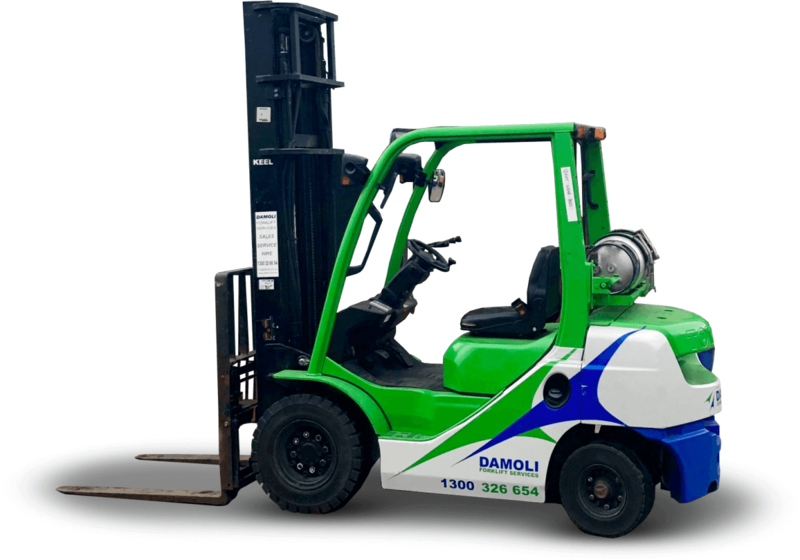 Damoli has built a reputation for being one of Melbourne and Victoria’s most trusted names in forklift sales and hire. With a team of highly skilled and experienced representatives holding a profound product knowledge, and a dedication to providing our valued clientele with the highest standard of service and support available, you can relax with the peace of mind that our forklift service is one to count on, regardless of the application. 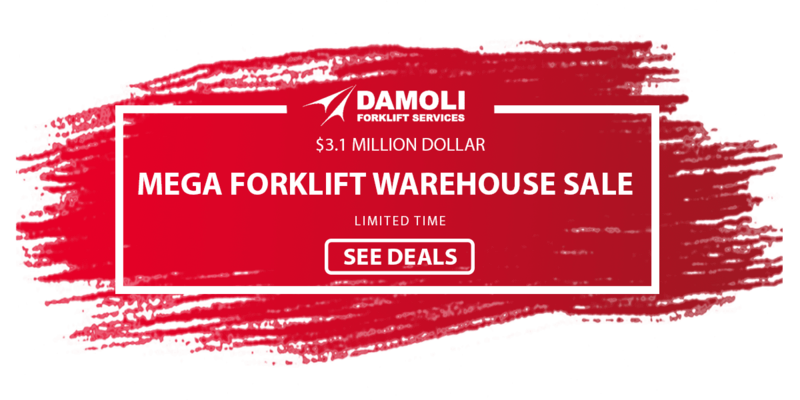 Damoli stocks a comprehensive range of Mitsubishi forklifts, for sale at Victoria location. As a trusted Mitsubishi forklift dealer with a passion for outstanding client service, you can trust that when you purchase a new Mitsubishi forklift from our dealership, it has been built to a higher capability commonly attributed to the legendary Mitsibushi name. We stock electric, engine and warehouse Mitsubishi forklifts at our Geelong location. Sorry, no results could be found for your search. Please try another query. Why come to us for second-hand forklifts? Produced for outstanding performance, Mitsubishi forklifts are award-winning and built to a higher specification to produce impeccable performance and reliability, no matter what the application. Electric: Mitsibushi electric forklifts represent the highest advancements in technology, with AC motors installed to reduce maintenance costs and extend cycles of operation. Engine: Featuring a range of attributes including enhanced safety, low operation costs, sustainable engines and a strong, reliable build, Mitsubishi engine forklifts are some of the most trusted on the market. Warehouse: Mitsubishi warehouse forklifts and equipment have long been some of the most trusted and reliable in the industry, with advanced capabilities attributed to their cutting-edge design and quality parts. Damoli has long held a reputation for providing top quality service. Whether you are buying, hiring or receiving a service on your forklift fleet, our team of professional staff and mechanics are here to ensure you leave our location with 100% service satisfaction. Our pride and passion lies in ensuring our valued community of clients receive the best service in the industry, and this is what has led us to becoming one of the most reliable teams in Victoria. We believe in helping you find the very best machine for your application, and will never pressure you into a sale that we don’t see necessary for your operation. If you are interested in learning more regarding our collection of top class Mitsubishi forklifts for sale, or would like to enquire about a particular machine, please feel free to get in contact with the experts at Damoli. Give us a call on 1300 326 654 or submit an enquiry form on our contact page. We will get back to you as soon as possible and with all the information you require.